Join us and sing great music! You don’t have to be a perfect sight reader of music, though you will need some ability to read vocal music. A good ear and the ability to feel the music’s harmony is an advantage. A short and friendly audition will help our conductor to see how your voice will blend in. 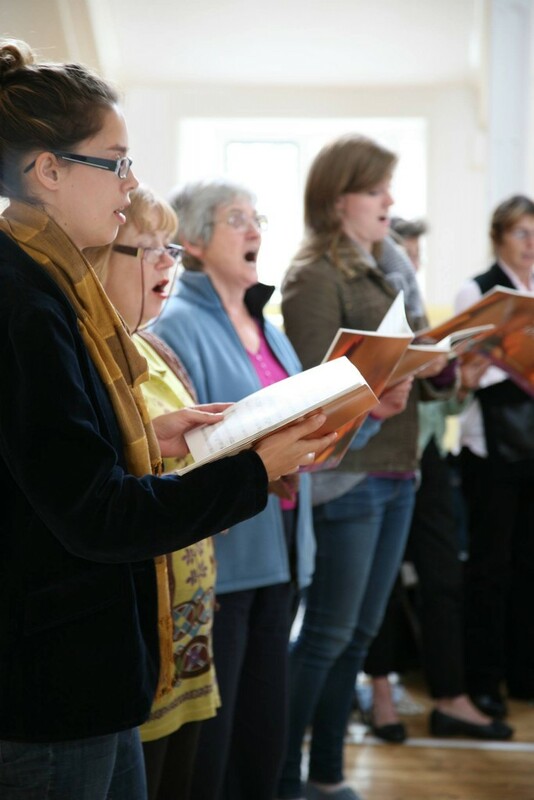 Click here to read a preview of our concert in March 2016 by a new member to the choir. We normally rehearse on Wednesday evening from 7.30pm to 9.30 pm. We hold open evenings 3 times a year. Our next open evening is on 1st May 2019 and will be in the main hall of Dorothy Stringer. The annual subscription as a singing member of the Brighton Orpheus Choir is currently £150 (or £140 if paid in September). Full-time students may join at a 50% discount (currently £75). The subscription is paid at the beginning of the autumn season in September, or can be arranged in two instalments (September and January). Members joining for the first time in January pay £100. Members joining in April pay £50. There is no charge for music, though a deposit may be held until it has been returned. Fill in the short form below, send it to us and we’ll be in touch.